Learn more about our software and hardware with our free online webinars. Our staff will be on hand to answer questions and queries as well as showing off tips and tricks. All of our previous webinars are archived below. 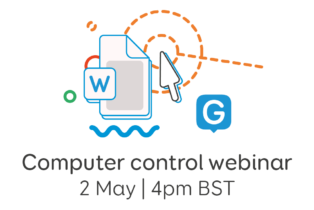 Join us on Thursday 2 May at 4pm BST and learn how you can use computer control to do more with Grid. Computer control is designed to help you take full control of Windows software using Grid 3. With these tools you’ll be able to access applications like Microsoft Word and Excel, or browse the internet using Google Chrome. If you can’t make the live session, there will be a recording available later on. Make sure you sign up to receive the link. Learn all about the new Phonics For All grids.